Here is a short trip along the line in photographs. 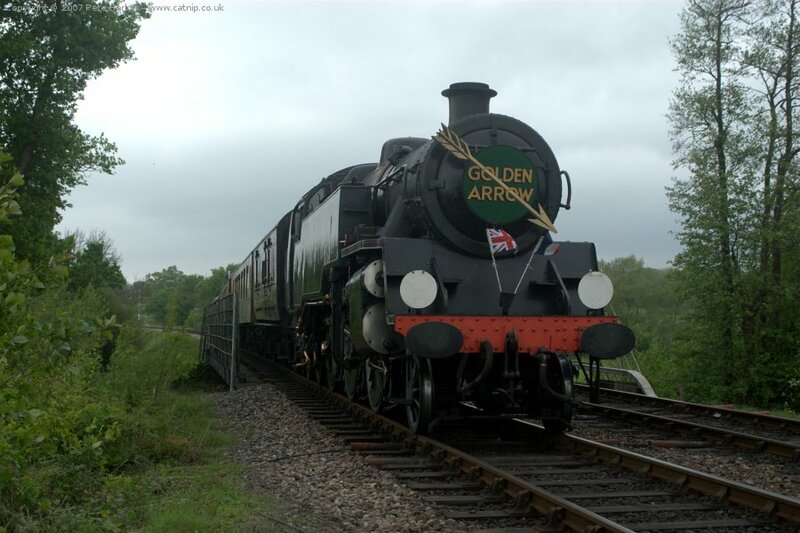 The Golden Arrow Pullman Dining Train approaches Sheffield Park station pulled by British Railways Standard Class 4MT Tank Locomotive No.80151. 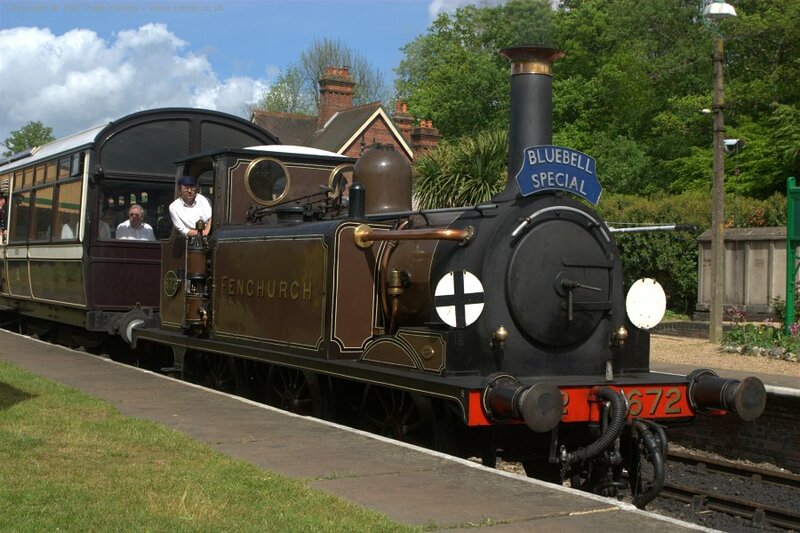 LBSCR Stroudley Terrier, No.672 "Fenchurch" pulls a special comprising a LNWR Observation Car. 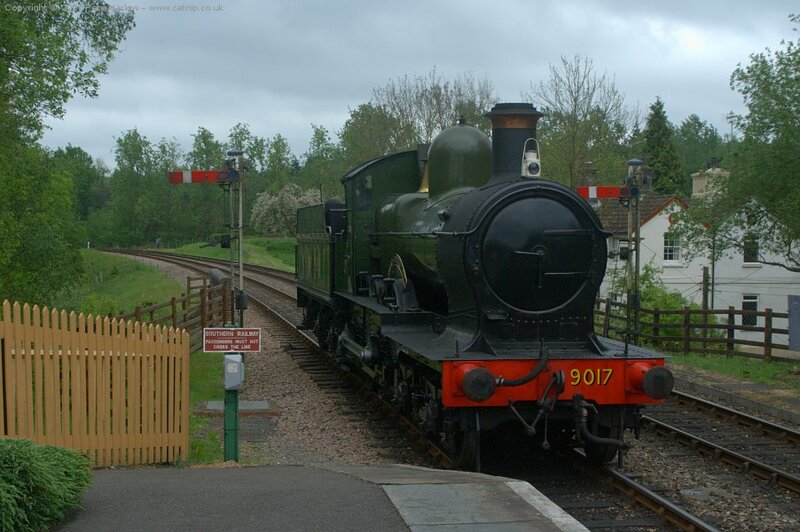 GWR "Dukedog" No.9017 "Earl of Berkeley" runs round at Kingscote station, amidst the lush May greenery. Kingscote is currently the northern terminus of the line, but it is expected that the extension to East Grinstead will open soon. 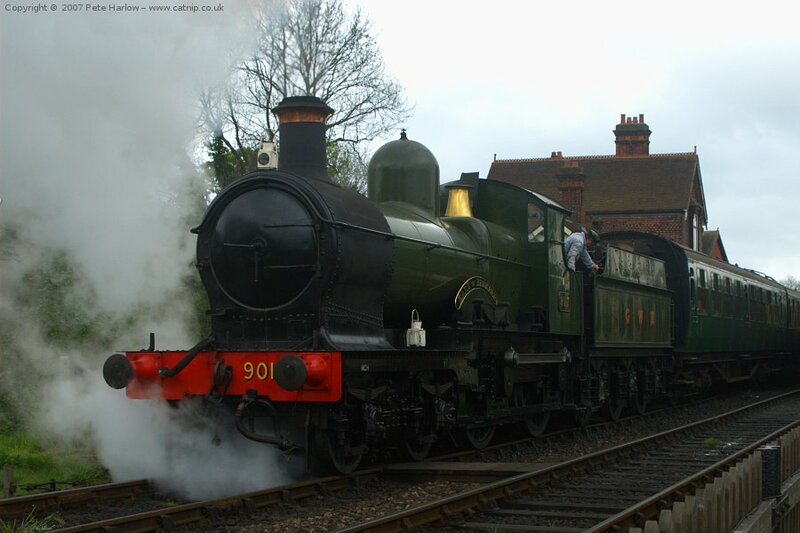 GWR "Dukedog" No.9017 "Earl of Berkeley" leaves Sheffield Park station with a service train. 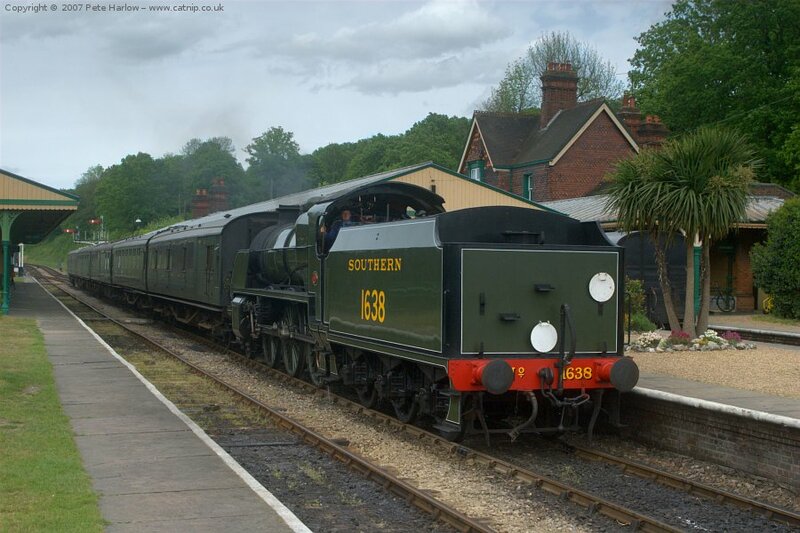 SR U-class No.1638 gets underway with a service train from Sheffield Park station. 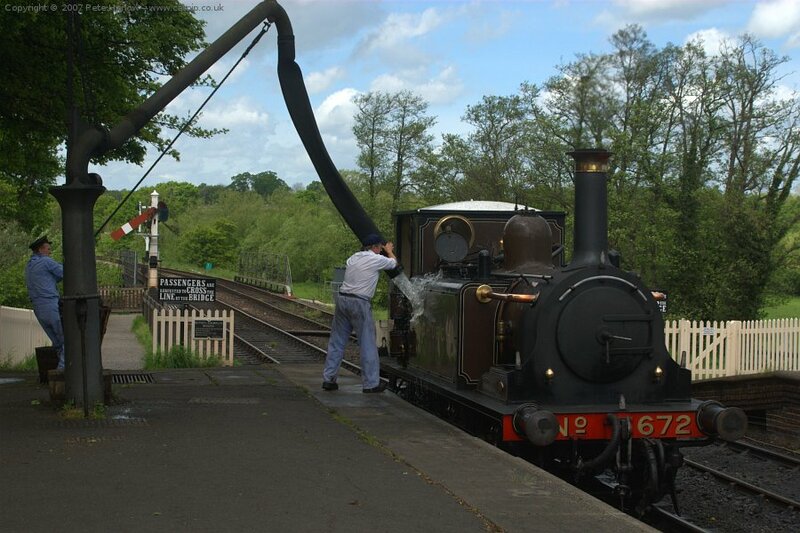 LBSCR Stroudley Terrier, No.672 "Fenchurch", gets a little dust washed off just after taking on water at Sheffield Park station. 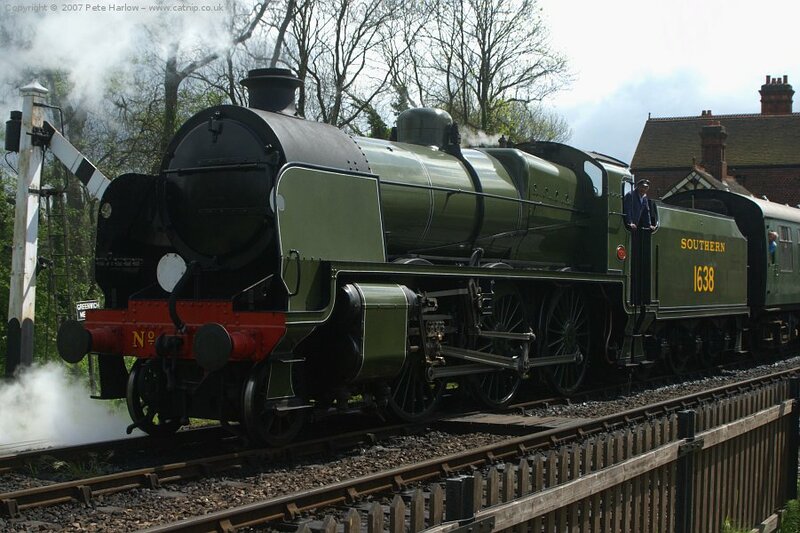 SR U-class No.1638 arrives tender first at Horsted Keynes station.